Local (county) court records usually have indexes that are seemingly limited in their scope. Usually there is a plaintiffs’ index and a defendants’ index and those indexes usually only index the first named plaintiff in each case and the first name defendant in each case. That’s why it is important to search for all family members in these indexes. 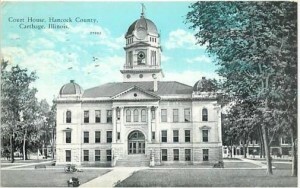 Indexes to wills held and created by local agencies typically only index the names of testators. Beneficiaries and others mentioned in the will are not typically included in these local record indexes. 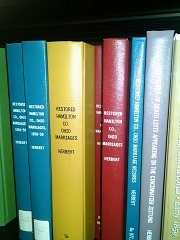 For this reason, it’s advised to search these indexes for all known family members to increase the chance of finding information. Probate documents often indicate that someone died “on or about” a certain date. That phrasing is intentional. 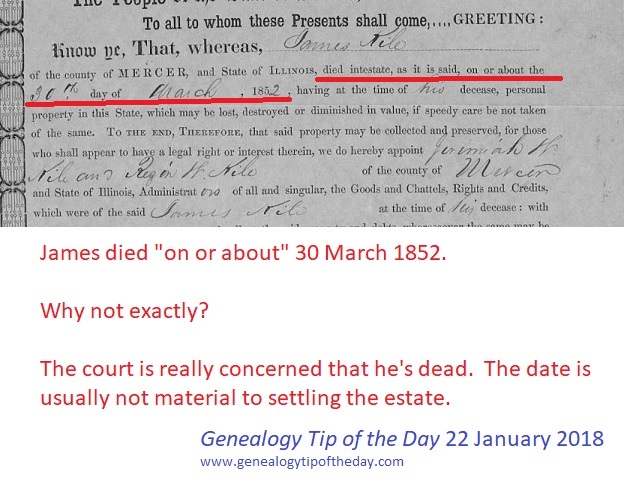 Usually the precise date of death is not germane to the settling of the estate and if later it turns out the actual date was a day earlier or later, the documents in the probate file are not in error. The important thing to the establishment of the probate process is that the deceased is actually deceased. Reading through a relative’s entire probate file, page by page and word by word, can provide you more than just the occasional relationship clue–it can also provide insight into their life. This 1862 reference indicated that the family paid the doctor bill of the deceased with two pigs and a rifle. 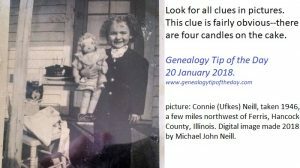 Allen County Library in Ft. Wayne, Indiana–the Midwest’s premier genealogical collection–August 2018. Pictures may contain clues as to when they are taken. Sometimes they are relatively easy to see–like the birthday cake candles in this image from 1946. Other times the clues may not be so obvious. That’s why it’s also a good idea not to crop any of the actual image from your digitized version of it. There may be a clue in the background that’s not immediately obvious to you. Check out GenealogyBank’s latest offer for our readers! 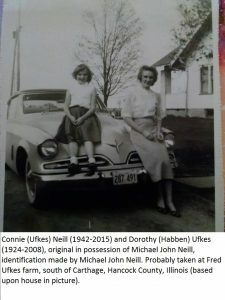 My Mom and Grandma taken 1950s. Two first cousins of my mother had autosomal DNA tests done. One was the child of a full sibling of her mother. The other was the child of a full sibling of her father. While I can use them to help sort out my maternal matches, I cannot assume that all of my maternal DNA matches will match one or the other of them. It’s very possible that I have DNA from one of my maternal ancestors that the two first cousins of my mother do not. And someone else could match me on that DNA. The two first cousins of my mother should help me filter out a significant number of my maternal matches, but they will not help me sort out all of them. That name in a “legal” document may not quite be the “right” one and may not be the “legal” one either. 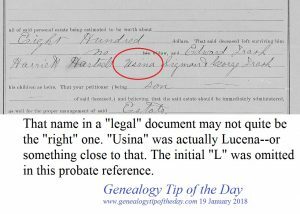 An 1880-era probate from Illinois refers to a daughter “Usina.” “Usina” was actually Lucena–or something close to that. 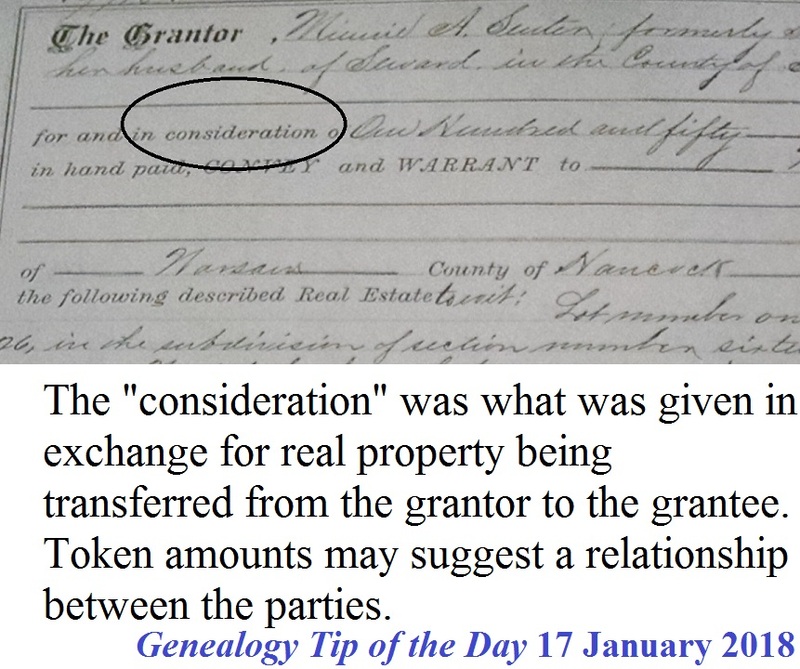 The initial “L” was omitted in this probate reference. Had I looked only for “Usina” I might never have found the correct person. 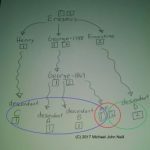 Did the widow give up her right to administrate her husband’s estate? That could help you approximate when she died, get a copy of her signature, and get her name. 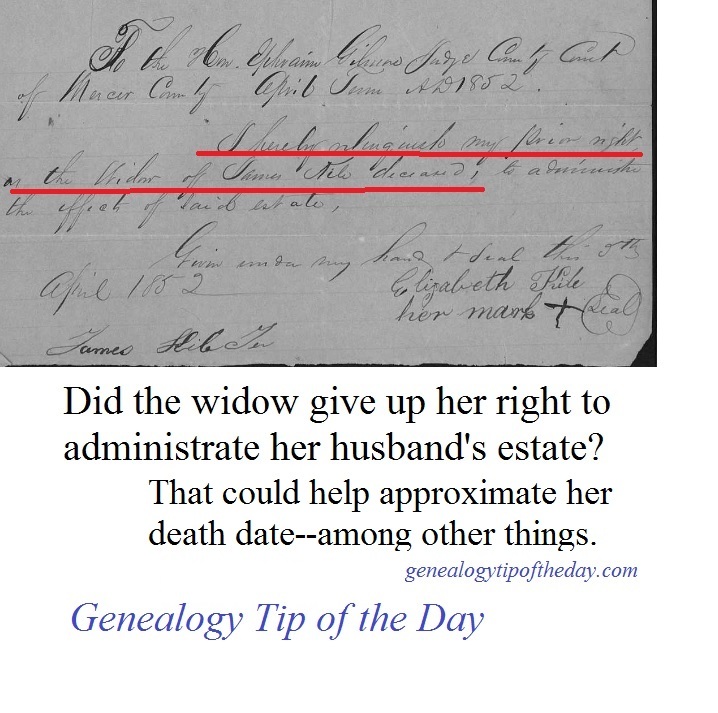 Some records may simply list her as “widow.” The relinquishment should give her name.